Whether they’re turning an embarrassing uncle into an exploding pencil case or their nosy granny into an inflatable doughnut, kids can create all kinds of mixed-up magic spells by flip-flapping the pages in this interactive book! 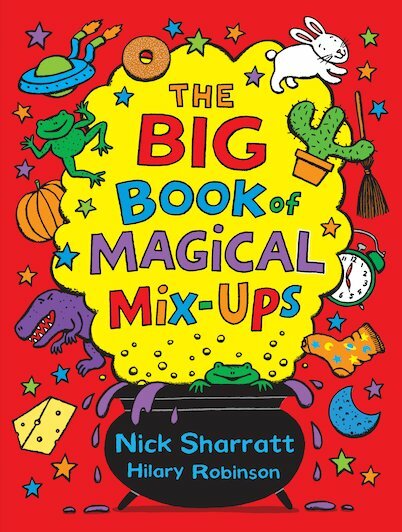 From the one and only Nick Sharratt, this marvellous mix-and-match treat allows children to create their own crazy combinations by flipping the split pages around. Packed with vibrantly colourful images and side-splittingly silly spells to cast, it’s a laugh-a-minute bonanza with an irresistible magical theme.